J. Christoph Amberger is one of the foremost experts on the continuity of Western sword-fighting systems. 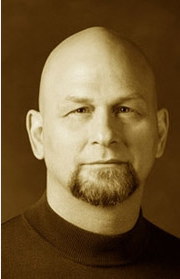 As the editor and publisher of Hammerterz Forum, the only journal devoted entirely to the forgotten sword arts of the West, his credentials include the Discovery Channel's documentary series Deadly Duels, consulting for the Metropolitan Museum of Art, as well as countless articles in historical, fencing, and martial arts journals. Between 1985 and 1987, he fought seven Mensuren with the German cutting rapier. Ellis Amdur, a crisis intervention specialist in Seattle, began his martial arts training in 1968. He spent 13 years in Japan, and currently holds instructor licenses in Araki-ryu Torite Kogusoku and Toda-ha Buko-ryu naginatajutsu. He teaches these two martial traditions in Seattle. Amdur extensively cross-trained in judo, hsing-i, Ch'en family t'ai chi ch'uan and muay thai. He began aikido training in 1973 with Terry Dobson in New York City, and continued his training in Japan with an number of instructors, most notably Yasunori Kuwamori and Yoshio Kuroiwa. He is the founder of Edgework, which offers trainings and consultation to law enforcement and social service personnel for the de-escalation and management of the behavior of emotionally disturbed individuals. As Director of the International Hoplology Society (founded by Donn Draeger), Hunter Armstrong is professionally engaged in the research and development of hoplology--the study of human combative behavior and performance, and he has spent considerable time on field research in Japan, Taiwan, Hong Kong, Malaysia, Indonesia, Thailand, Sri Lanka, and India, researching the training and fighting arts of those areas. Armstrong and his family lived in Japan for ten years spread over a 25 year period. Starting in karate in the early 1960s, he has been training consistently for the past forty years. Now primarily concentrating on classical Japanese martial arts, he has also trained in a number of Chinese combative arts. In addition to Asian weapons and fighting systems, Armstrong has also studied classical European weapons and fighting systems and the relationship of bio-mechanics to the development of weapons use. Concurrently, Armstrong has been involved in strength and conditioning training and study since the mid-1970s. In that area, his focus has been on the enhancement of performance capabilities through functional training methods. Working both with athletes in sports conditioning and non-athletes in more general conditioning, Armstrong has developed unique training programs that integrate fitness with body-mind-spirit performance enhancement, as well as programs specifically aimed at martial arts performance enhancement (to that end, Armstrong authored a training text titled Strength and Conditioning for the Combative Athlete). 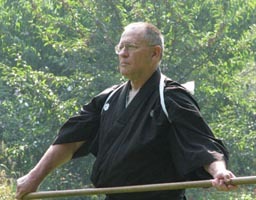 Armstrong has written numerous articles on combative behavior and performance, including work on European non-firearm fighting and weapons, and he has translated several Japanese articles and texts concerning both classical and modern Japanese fighting arts. For the past twenty-five years Christopher Bates has designed his life around his interests in Asia, martial arts, business, and his family. He holds a third-degree black belt in Bando (Burmese fighting arts) and has had over thirty years of training in Chinese martial arts, including Northern Shaolin, hsing-i, and t'ai chi. He is also familiar with a number of traditional Japanese martial arts, and is an expert in kukri combat techniques used by the Gurkhas. Since graduating with degrees in Asian studies and international management, Bates has spent nearly twenty years in Asia, residing in Singapore and Taiwan and traveling frequently throughout the region. He lives in Singapore with his Taiwanese wife and their three children. Author of articles on Burmese fighting arts for Crossed Swords and Hoplos, Bates is fluent in Mandarin and has translated part of Tales of Chivalrous and Altruistic Heroes into English. He is presently at work on a book on martial arts, a novella, and a philosophical children's book. The Wave Man is his first novel. William M. Bodiford is an associate professor in the Department of East Asian Languages and Cultures at the University of California, Los Angeles (UCLA). He is the author of Soto Zen in Medieval Japan (1994) as well as the entries "Religion and Spiritual Development: Japan" and "Written Texts: Japan" in Martial Arts of the World: An Encyclopedia (2001). Bodiford holds menkyo kaiden and shihan licenses in Kashima-Shinryu. Colonel George Bristol, USMC, is a career Marine who has risen from the ranks. He has served extensively in infantry, reconnaissance, and special operations billets in areas including Somalia, Bosnia-Herzegovina, Central America, and the Far East. He began training in judo in 1966 and training in Shinkage-ryu heiho in 1995. He is just finishing up a biography of fellow Marine and longtime idol, the legendary Donn F. Draeger. His perspectives in koryu are always from the perspective of his profession--U. S. Marine--and its mission: combat. 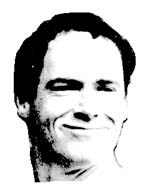 Guy Buyens began training in karate in 1971 at the age of 10. In his youth, he was active in kumite and kata competitions as a member of the Belgian National Team, and he was selected to compete at the European Championships in 1984. He first met Inoue Tsuyoshi Munetoshi, 18th soke of Hontai Yoshin-ryu, and his son Kyoichi in Italy, in 1983, during a demonstration tour of martial arts in which he also participated. After finishing medical school and working for some time at the University of Brussels (exercise physiology and sports medicine), he took a one-year sabbatical in 1989 and went to Japan specifically to start studying Hontai Yoshin-ryu at the so-hombu dojo, as well as to further his studies in Shito-ryu karate with Mabuni Sensei. Although he now lives with his family in Belgium, Guy and other senior Belgian students regularly travel to Japan to study. There they have participated in several demonstrations, including the 30th Zen Nippon Kobudo Embu, organized by the Nippon Budokan and Nihon Kobudo Kyokai. Guy has been mentioned in several articles published in Budo, the official magazine of the Nihon Budokan (in Japanese). For their April 2006 issue he wrote an article reflecting on his participation in the 16th Isukushima Enbu Takai in Miyajima. Stephen M. Fabian began his formal martial training in 1976. From 1987 until 1990 he and his family lived in Japan, where he trained in the Hontai Yoshin-ryu (jujutsu and traditional weaponry) directly under its 18th Soke, Inoue Tsuyoshi Munetoshi. In 1989 he became the first foreigner to win an All-Japan Championship in Toyama-ryu iaido (shodan/nidan male adults), at the Fourth All-Japan Toyama-ryu Tournament. Currently, Fabian holds a second degree black belt in tae kwon do, a sandan in Toyama-ryu, and is godan and U.S. Hombu-cho (Branch Head) in Hontai Yoshin-ryu. He is also a Senior Advisor to the Shudokan Martial Arts Association. Fabian teaches Hontai Yoshin-ryu bujutsu in Hamilton Square, New Jersey. A socio-cultural anthropologist, Fabian received his doctorate from the University of Illinois at Urbana-Champaign in 1987. Prior to going to Japan, he and his wife lived and worked among the Bororo Indians of Brazil, following travel and work in several other areas of Latin America. Fluent in Portuguese and competent in Spanish, Fabian is working to improve his functional and written Japanese. He has various publications, including one book, and hopes to write more, especially of relevance to the martial arts. Dr. Karl Friday is professor of history at the University of Georgia and is the author of Hired Swords: The Rise of Private Warrior Power in Early Japan (1992), Legacies of the Sword: The Kashima-Shinryu and Samurai Martial Culture (1997), and Samurai, Warfare and the State in Early Medieval Japan (2003). He has spent a number of years living, training, and doing research in Japan; he presently holds the menkyo kaiden license and is a certified shihan in Kashima-Shinryu. David A. Hall earned an M.A. in Asian Studies from the University of Hawaii in 1977 and a Ph.D. in Buddhist Studies/Military History from the University of California, Berkeley in 1990. He began training in martial arts in 1965; in 1975 he began training under Donn F. Draeger in Shindo Muso Ryu in Hawai. Moving to Japan in 1977, he continued studying Shindo Muso Ryu at the Rembukan Dojo under Shimizu Takaji, and joined the Kashima Shinden Jiki Shinkage Ryu under Namiki Yasushi, the 18th headmaster, in 1978. He also he began formally training in Yagyu Shinkage Ryu heiho in 1985, under 21st headmaster Yagyu Nobuharu. David continues to train and teach Shindo Muso Ryu, Jiki Shinkage Ryu, and Yagyu Shinkage Ryu under the auspices of the Hobyokai/Hobyokan in Rockville, MD. E.J. Harrison began his Japanese martial arts training in Yokohama in 1897, making him the granddaddy of all budo pioneers. He was born in Manchester, England in 1873, and spent twenty years as a journalist in Japan at the turn of the century. He trained first in Tenjin Shinyo-ryu and then moved on to the Kodokan, where he worked with the legendary Mifune Kyuzo. His 1913 publication The Fighting Spirit of Japan was a groundbreaking work, introducing the Japanese martial arts to the West. His second dan in judo was earned, pre-World War I, direct from the Kodokan. After his return to England, he became a mainstay at the Budokwai, attaining the rank of third dan (now equivalent to a fifth or sixth dan). He died in 1961. Romulus Hillsborough is a native Californian who lived in Japan for over fifteen years. Fluent in spoken and written Japanese, he has worked on the editorial staff of a Japanese weekly magazine in Tokyo and as a U.S. correspondent for the Japanese press. He spent seven years researching and writing his first book, Ryoma: Life of a Renaissance Samurai (Ridgeback Press, 1999), the only biographical novel about Sakamoto Ryoma in English. Hillsborough's second book, Samurai Sketches: From the Bloody Final Years of the Shogun, was published in 2001; his newest work is Shinsengumi: Shogun's Last Samurai Corps (2005). Hillsborough currently lives in the San Francisco Bay Area with his wife and son. Colin Hyakutake-Watkin is a kaiin of the Kage-ryu and holds menkyo kaiden of the Taiko Kono-ha-ryu battojutsu. He is Jonin Riji (permanent director) and International Judge of the Kokusai Todo Renmei (International Sword Way Federation) and is a high-ranking exponent in kendo, karate, jujutsu, iaido, and battodo. He is the coach for the Saga Prefecture School Kendo Federation and is a lecturer and guidance councilor for a group of schools in the area. His web site is Hyoho. Dave Lowry writes regularly for Black Belt and other popular martial arts magazines. He is the author of Autumn Lightning: The Education of an American Samurai, Sword & Brush, Persimmon Wind, Moving Toward Stillness, Traditions, Clouds in the West, and the recently published In the Dojo. Wayne Muromoto is publisher of Furyu: the Budo Journal and Furyu Online. He began his martial arts training some twenty-five years ago, and has spent several years studying Urasenke chanoyu (tea ceremony) and various martial arts in Japan. He is a direct student of Ono Yotaro, headmaster of Bitchu-den Takeuchi-ryu and holds the rank of yondan (shihandai or official representative instructor under the old system) as well as the chu-mokuroku in that school. He is also a student of Ohmori Maso in Muso Jikiden Eishin-ryu iaijutsu. Muromoto has experience in a wide variety of martial arts including judo, aikido, karatedo, t'ai chi ch'uan, jodo, and kendo, and holds the rank of sandan from the Zen Nihon Kendo Federation in iaido. Presently he is active as a leader of the Hawaii Martial Arts Club. Muromoto has an MFA in Fine Arts from the University of Hawaii and a BA in Japanese literature and language. He is an art instructor and chair of the visual arts program at Mid-Pacific Institute. Nishioka Tsuneo began his training in Shinto Muso-ryu in 1938 under Shimizu Takaji, from whom he received menkyo kaiden, a license of complete transmission. He also holds the teaching license and grade of hanshi hachidan, awarded by the All-Japan Kendo Federation. He is the author of several books on the martial arts and heads the Seiryukai, a group devoted to preserving the teachings of Shimizu Sensei. For more of Nishioka Sensei's story see "Nishioka Tsuneo and the Pure Flow of the Jo." Mr. Ohgami was born in Japan in 1941 and trained in Wado-ryu Karate at Tokyo University Karate Club under headmaster Hironori Ohtsuka from 1960 to 1965. In 1969 he was invited to Sweden as a guest researcher in chemistry, however, in 1972 the demands operating a successful dojo resulted in his abandoning an occupation in chemistry to pursue teaching budo full-time. Shingo Ohgami is the chief instructor of Swedish Karatedo Wadokai and chief instructor of Karateklubb Samurai-dojo in Gothenburg, Sweden; he holds the rank of 7th dan from the JKF Wadokai. He also holds teaching licenses in Mugai-ryu iaido (6th dan) and Shindo Muso-ryu jodo (5th dan). He has been actively teaching T'ai chi Ch'uan since 1973. Mr. Ohgami has been passionately committed to historical budo research more than 30 years and has authored several extremely popular books on Wado-ryu. He is the editor of the quarterly magazine Swedish Karatedo Wadokai, and is a member of the Japanese Budo Academy. Diane Skoss founded Koryu Books in 1996, and is the creator of Koryu.com. Prior to moving to Tokyo in 1987, she earned an Masters of Library Science and an MA in English. She was Managing Editor of Aiki News/Aikido Journal for six years, beginning in 1990, and was in charge of producing most of the books published by Aiki News between 1990 and 1996. In late 1997, she returned to the U.S. where she and her husband run a dojo in New Jersey. Her own training began with Tomiki aikido in 1982 at Indiana University, and she now holds a 4th dan, Jiyushinkai, and 4th dan, JAA. Started training in jukendo (bayonet) and tankendo (short sword) in 1990 under All-Japan Jukendo Federation instructor Wakimoto Yasuharu, hanshi 8th dan; she is currently 5th dan in jukendo and 3rd dan in tankendo. 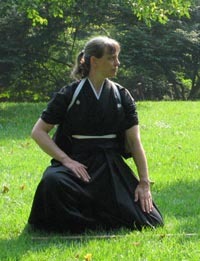 Began training in Shinto Muso-ryu jo under menkyo kaiden Phil Relnick in 1991; she is now menkyo kaiden and also holds Zen Nihon Kendo Renmei jodo 3rd dan, and Jodo Federation of the U.S. 2nd dan. Entered the Toda-ha Buko-ryu under Soke Nitta Suzuyo in 1993, and holds the okuden license. Has also trained in atarashii naginata and judo. For more information see Wayne Muromoto's profile in Furyu: The Budo Journal 1, no. 4:33-34). She is the editor of Koryu Bujutsu, Sword & Spirit, and Keiko Shokon, the "Classical Warrior Traditions of Japan" series. Meik Skoss began training in martial arts in 1966 in Los Angeles. In 1973 he went to Japan to continue his training in aikido. After moving to Tokyo in 1976, Skoss started studying Shinto Muso-ryu jo under Shimizu Takaji, Toda-ha Buko-ryu naginatajutsu with Muto Mitsu, and Tendo-ryu naginatajutsu under Sawada Hanae. It was also at this time that he began to work with Donn F. Draeger and accompanied the master hoplologist on several field trips to Southeast Asia. In 1979 he began his study of Yagyu Shinkage-ryu heiho/kenjutsu and Yagyu Seigo-ryu battojutsu under the 21st generation lineal headmaster, Yagyu Nobuharu Toshimichi. He has also practiced judo, t'ai chi ch'uan, Goju-ryu karatedo and is currently training in jukendo and atarashii naginata. An MS in Physical Education, Skoss holds the ranks of 5th dan Zen Nihon Kendo Renmei jodo, 5th dan jukendo, 4th dan aikido (Aikikai), 3rd dan tankendo, 2nd dan atarashii naginata, the okuden mokuroku and shihan licenses in Toda-ha Buko-ryu, and menkyo in Shinto Muso-ryu jojutsu. Fluent in Japanese, and the owner of a substantial library of martial arts books in both English and Japanese, Skoss is one of several hoplologists continuing the work of Donn F. Draeger. He has traveled throughout Japan visiting various koryu and modern budo dojo and collecting information on the Japanese martial arts. Now resident in New Jersey, he and his wife run a dojo there; he also serves on the local volunteer Rescue Squad. Robert W. Smith is one of the world's leading authorities on Asian martial arts. Co-author with Donn F. Draeger of the groundbreaking Comprehensive Asian Fighting Arts, he has written fourteen other books on various aspects of the Chinese martial arts. Smith has practiced, taught, and written on the Asian martial arts for more than fifty years. From his late teens he trained under eminent Western boxing and wrestling coaches and later immersed himself in judo and finally the Chinese martial arts under celebrated masters. He taught many students in the latter arts in the Washington D.C. area where he worked as an intelligence officer for the CIA. Zach Smith has been involved in the Japanese martial arts for fifteen years. He has trained in Shorin-ryu karate, aikido, Shinto Muso-ryu jo, Muso Shinden-ryu iaido and Kogen Itto-ryu kenjutsu. Currently living in Japan, he is researching the Kogen Itto-ryu and its home, the mountainous Chichibu area of Saitama. Derek Steel began learning martial arts in 1983 and eventually spent over fifteen years living in Japan studying a variety of Japanese and Chinese traditions, including Daito-ryu aikijujutsu under master teacher Kondo Katsuyuki and Shinto Muso-ryu jo under master teacher Philip Relnick. When not in the dojo he works as a Japanese translator and as a professional chef. Toby Threadgill began his martial arts training in 1978 in Santa Barbara where he studied western fencing under USN Capt. Hart Kait. He has since trained extensively in Wado-ryu karate, muay thai boxing, jujutsu, aikijujutsu and Jeet Kune do. In 1985 Toby Threadgill initiated training under Takamura Yukiyoshi, headmaster Takamura-ha Shindo Yoshin ryu. In 1992 he founded the Soryushin Dojo and in 1994 was appointed a branch director of the Takamura-ha Shindo Yoshin Kai. In 1999, he was one of three people to be awarded a menkyo kaiden in Takamura-ha Shindo Yoshin-ryu. Following the passing of Takamura Yukiyoshi in 2000, he was asked by the other TSYR branch directors to accept the position of administrative head (kaicho) of the Takamura-ha Shindo Yoshin Kai. He currently oversees instruction at the Shindo Yoshin Kai Hombu Dojo and maintains a busy international teaching schedule. Toby Threadgill as the TSYR kaicho inherited an extensive collection of historic documents and densho associated with his teachers research into the numerous branches of Yoshin ryu jujutsu. He continues the research started by his teacher and is now working in partnership with budo historian and author Shingo Ohgami. Their first book is currently in progress.